‘A Forest for Australia’, a landscape sculpture by world renowned artist Agnes Denes was constructed in 1998 at City West Water’s Altona Treatment Plant. The forest features 5 concentric-circular forests, spanning an area of 1 hectare. The design utilised three native tree species – the River Red Gum, Drooping She-oak and the Salt Paper-bark – to create a stacked-pyramid appearance. The planting of the forest coincided with the beginning of the decade long millennium-drought. This severe and extended climate event caused significant damage, leading to the eventual loss of half the plantation. Investigations also revealed that some of the species selected were inappropriate as they could not tolerate the high levels of salinity in the farthest areas of the planting. 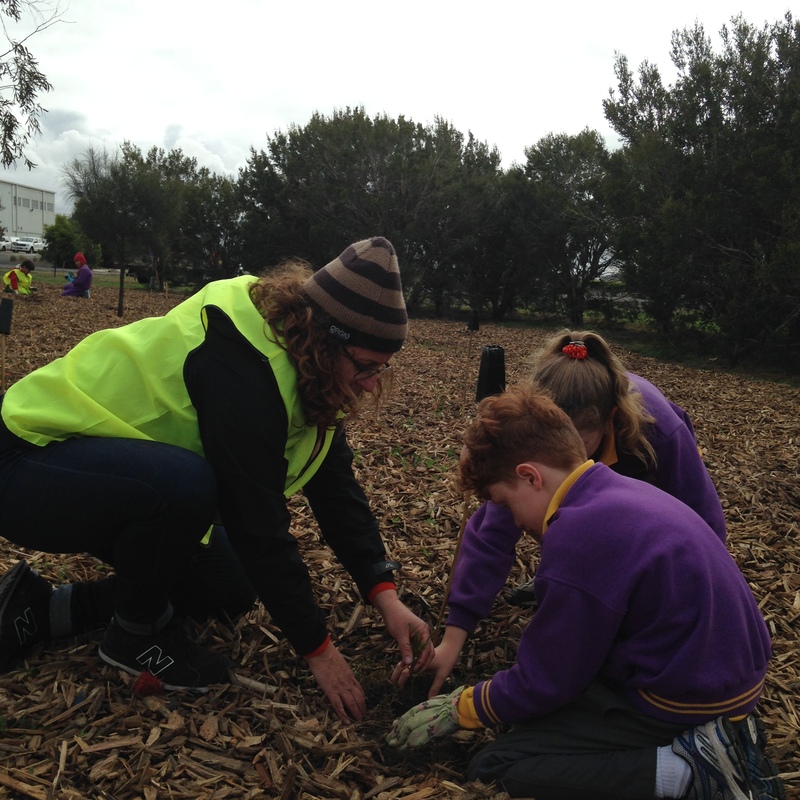 In 2014 City West Water committed to undertake the forest’s restoration in the cooler months of 2015. 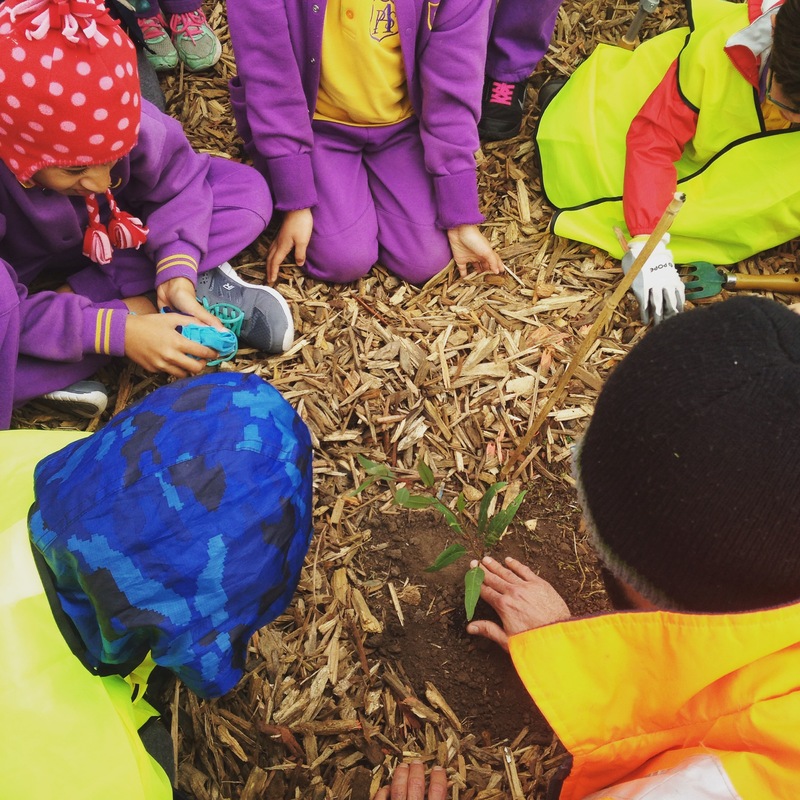 In August and September this year – ably assisted by twenty five students from Altona Primary School – City West Water replanted more than 1,000 new trees and ‘A Forest for Australia’ was reborn. To ensure the forest’s restoration has highest likelihood of success, a holistic approach to the project has been utilised, with horticulturalists, soil chemists, landscapers and irrigation experts consulted to achieve a lasting outcome.